Although the folks living in this nursing home in Spain are unable to attend the annual San Fermin Festival, they will not go without celebrating the tradition. 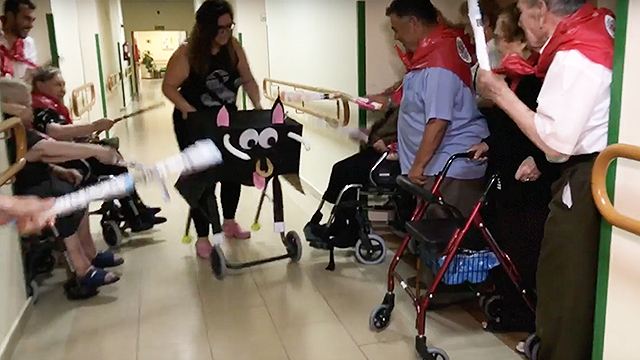 In order to maintain the safety and well-being of the elderly residents, the nurses and staff of the Cervantes Residental Centre organized their own Running of the Bulls. With similar red capes and a cardboard bull, the residents got to try their hand at being a matador for a day.